Between her boisterous sons and a house full of Poodles, there's never a dull moment for Melanie Travis. But no matter how hectic life gets, she can always pick up the scent of a howling good mystery--and she'll stop at nothing to dig up the truth. . . It's summer in Connecticut, and Melanie's life has become an endless string of dog shows, soccer camp, and the antics of her energetic toddler. She hardly has time to pay much attention to her Aunt Peg's new protégé, Nick Walden, a self-proclaimed "dog whisperer" with an uncanny gift for decoding dog-speak. 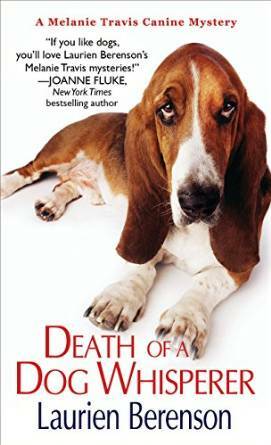 The well-heeled dog owners of Fairfield County are lapping up his alleged talents, anxious to discover exactly what their pampered pets are thinking--that is until the pooches start spilling their secrets. When Nick is discovered dead in his home, his sister Claire enlists Melanie to help track down the killer. Now, as she juggles the demands of marriage and motherhood--not to mention her six beloved Poodles--Melanie can scarcely even begin to nose through the growing list of suspects. But just when she thinks she's barking up the wrong tree, she'll find herself face to face with a purebred murderer. . .